Yamaha Mio is a reliable scooter with its avant-garde features and ergonomic design. Read the review to know the features, price & technical specification. After the great success with the launch of some of the new age sporty bikes such as FZS, Yamaha now eyes on adding a new feather in its cap with the scooter segment in India. They already showed up 3 scooters in the showrooms in Pune - Yamaha Vino, Mio and Nouvo. Even when we don't know the real motive of Yamaha for all this show, we are at least convinced that they are on the venture of introducing these scooters in India, most likely Mio or Mio Soul in the first batch. These bikes are already in use in Indonesia. With the great command already set in the market, Yamaha's future looks even brighter if they are all ready to give life to the so-called rumours and talks on these scooters. As a matter of speculation, Yamaha Mio is believed to launch in the new season of 2010. A slightly tweaked version of Mio is called Mio Soul. Mio Soul scooter is a middle light weight scooter with 113.7 cc engine. The engine is an air cooled 4-stroke, SOHC with 2-Valve of cylinders. This scooter has a maximum Power of 7.6 Bhp @ 8000 rpm and Maximum Torque of 7.4 Nm @ 6500 rpm. Yamaha Mio would prove a very reliable scooter with its avant-garde features and style. This scooter certainly looks different from its peers and it bears a macho look which lands itself suitable for the male as well. It comes in alloy wheels. The fuel guage and the speedometer are analogue and it comes with the self start feature. The new Mio owns front disc brake while the rear comes with the drum type. The Yamaha Mio scooter will be available with the original colours. It is no doubt, a well designed scooter which can easily put the contenders at the back burner with its welcome features. The new Mio is an ergonomically designed scooter. It sports a well padded long seat which serves a very comfortable ride in any condition. The pillion can also enjoy the ride without any trouble. It has an ingeniously carved out grab rail and the well placed rear fender is really a design to offer a clean ride in wet condition apart from displaying a complete contemporary look. The front disc brake performs a great deal of job with its ability to keep the little machine in full control. Even though the scooter does not come in tubeless tires, it proves versatile on any tarmac. 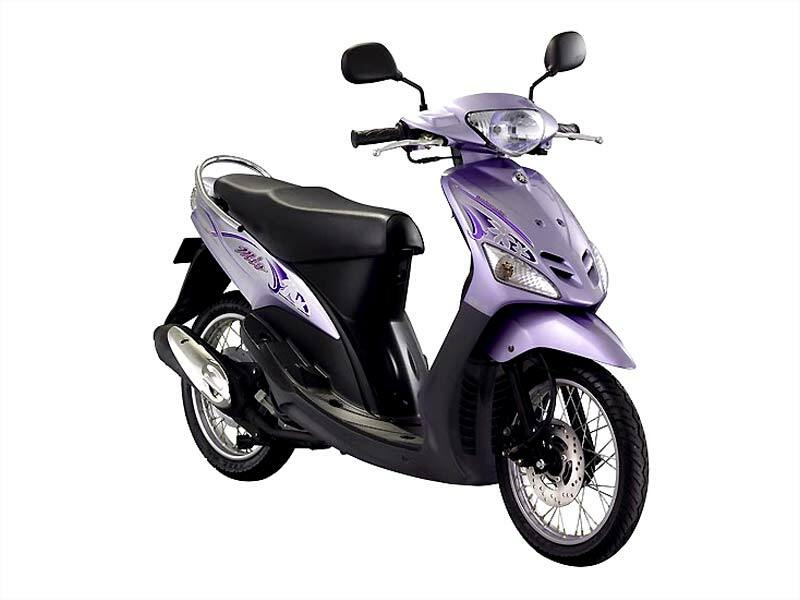 It comes with automatic gear box, which is the peace of mind for the women riders especially. 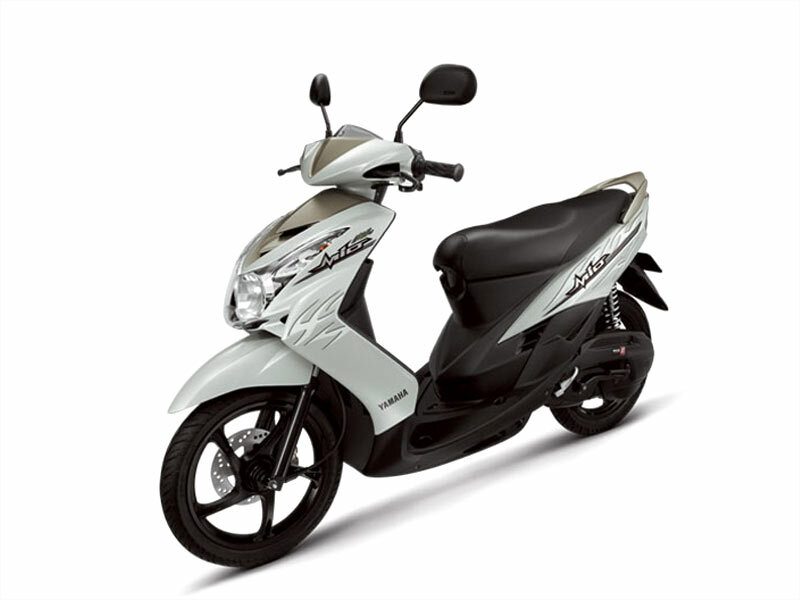 Compact & light weight, Yamaha Mio can deliver an average of 45-48 km/l. 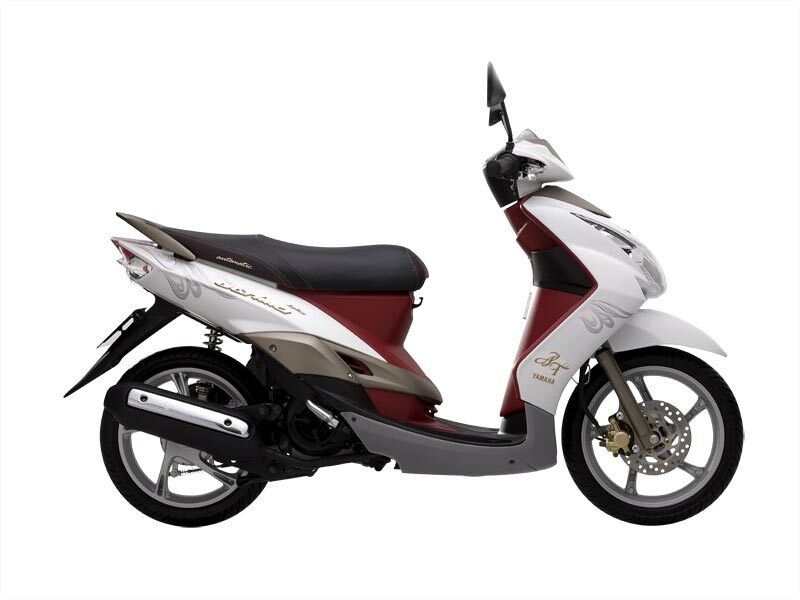 Yamaha Mio is available in different colors such as Blue, White, Silver, Sky Blue, Red and Yellow and it is expected to be priced around Rs. 40 thousand in India.